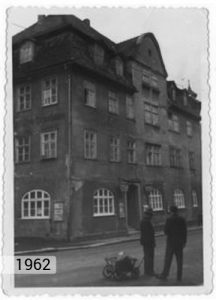 The building, erected before 1900, in which the restaurant, reception, bar, and kitchen spaces are housed, was purchased by our parents Ernst and Elisabeth Humburg in 1961. It was renovated and converted by the 2 August 1962 and the opening was celebrated on the 3 August. During the first years it was primarily a club pub and restaurant. What started as a small club pub and restaurant was extended by a hall in 1965/66 through the demolition of the rear houses (in which presumably the brewery was housed at one point). In 1969/70 further conversion and renovations of the kitchen, guest-, and adjoining room took place. 1977, Hofgeismar is supposed to become the 1978 Hessen Day city, the result: a few of the neighbouring houses became the victim of urban redevelopment or were stripped and had their front reconstructed (Hochzeitshaus), now Ernst & Elisabeth took a great step, they decided to purchase the neighbouring property and to build a hotel with 21 rooms and a lift. 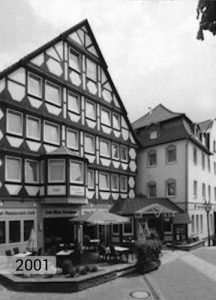 On the 28 April 1978 the hotel opened just in time for Hessen Day. In 1982 the first step regarding succession took place: Uwe Humburg started his apprenticeship as a cook in Solingen - Langenfeld at Haus Gravenberg (www.gravenberg.de). Following his apprenticeship he expanded his knowledge in Hotel Gude with the Restaurant Pfeffermühle in Kassel (www.hotel-gude.de). He returned in 1986 and took over the kitchen management with many new ideas, dishes, and experiences. In 1986 the second step regarding succession happened: Torsten Humburg began his apprenticeship as a restaurant specialist in the sleeping beauty castle Sababurg (www.sababurg.de). 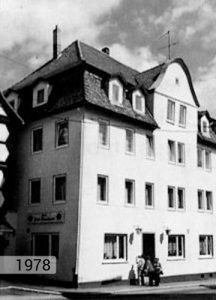 In 1989 Torsten returned as well and took over the restaurant management at "Zum Alten Brauhaus". In addition the kitchen was expanded and the hall renovated in a cosy style, leading many guests to say that it is "like a very large living room". 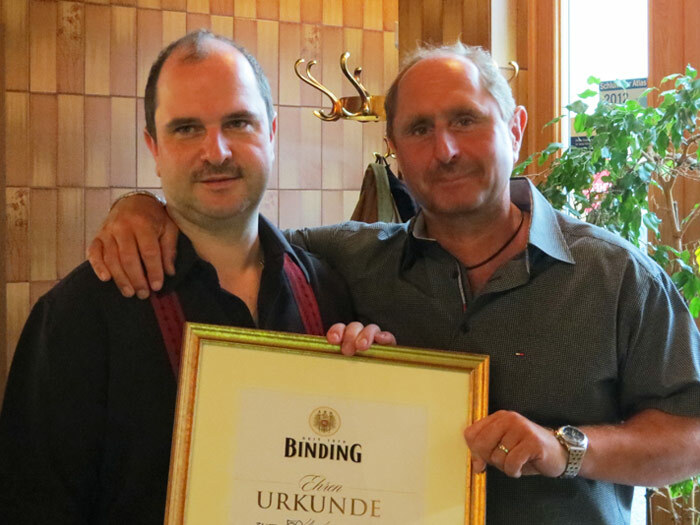 In 1997 it was the time when Uwe and Torsten took over the business together and were happy to be able to count on the ongoing support of their parents. With the takeover a “new hotel” was born, in 1997 (1st floor) 1998 (2nd floor) & 1999 (3rd floor) all rooms are completely renovated and equipped with new furniture. The sanitary areas were completely redesigned. In 1999 the previously rented shop on the lower ground of the hotel became available, subsequently Uwe and Torsten decided to expand their premises and the kitchen. Within a short period of time, the shop area was converted, the old entrance moved, and upgraded to be wheelchair and pram accessible. The old bar area was moved, the kitchen expanded, and a coffee patio was created in the pedestrian area. Just in time for the Christmas business 2000 the new premises were opened. From December 2008 - January 2009 the old sanitary facilities were completely refurbished and ergonomically shaped toilet facilities and a baby changing room were created. Since 2015 closed parking spaces can be reserved on a neighbouring property at the Georgenstrasse.